WikiLeaks editor Julian Assange has hit back at Nebraska Senator Ben Sasse’s statement that Assange is “an enemy of the American” and should be imprisoned. “I will not take fashion advice from the likes of Senator Sasse,” Assange tweeted Monday, linking to the senator’s statement about the latest WikiLeaks revelations. Assange later tweeted photographs of himself and of Sasse with a cat, with the latter’s feline looking less than comfortable. “You can't hide who you are from an animal. On the left political prisoner @JulianAssange On the right fashion advisor Senator @BenSasse,” Assange wrote. You can't hide who you are from an animal. “It is imprudent to comment on the particulars of these leaks but this is dead certain: Julian Assange should spend the rest of his life wearing an orange jumpsuit. He’s an enemy of the American people and an ally to Vladimir Putin,” Sasse said on Thursday. @JulianAssange orange wouldn't suit you anyway!! @JulianAssange Look at you, Julian ... getting sassy with Sasse. Assange’s tweet was met with appreciation from his supporters, who commended his use of sass against Sasse. The WikiLeaks editor set up his Twitter account in February and has tweeted 77 times since then. 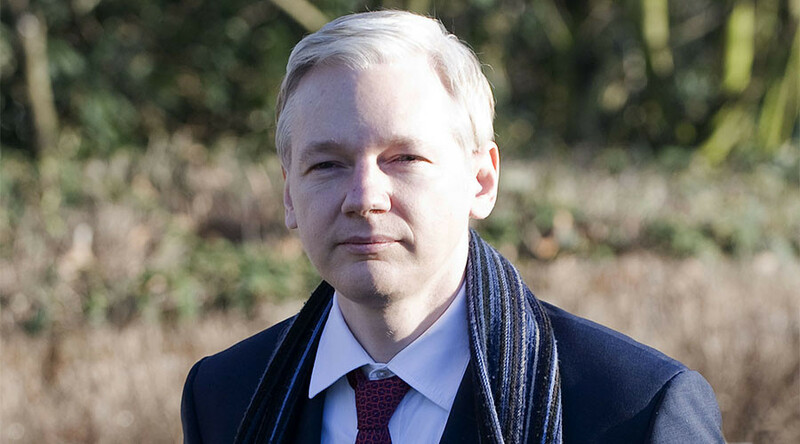 @JulianAssange Many Americans appreciate and support your sacrifices.We love you and are praying for you ! Sasse is a member of the Senate Armed Services Committee, which provides legislative oversight of the nation’s military. On Saturday, he tweeted that he had experienced hacking attempts since criticizing Assange and WikiLeaks, but was called a “conspiracy theorist” by fellow Twitter users. Sasse also sent a letter to Attorney General Jeff Sessions questioning whether the Trump administration was pursuing Assange’s prosecution “aggressively” enough.